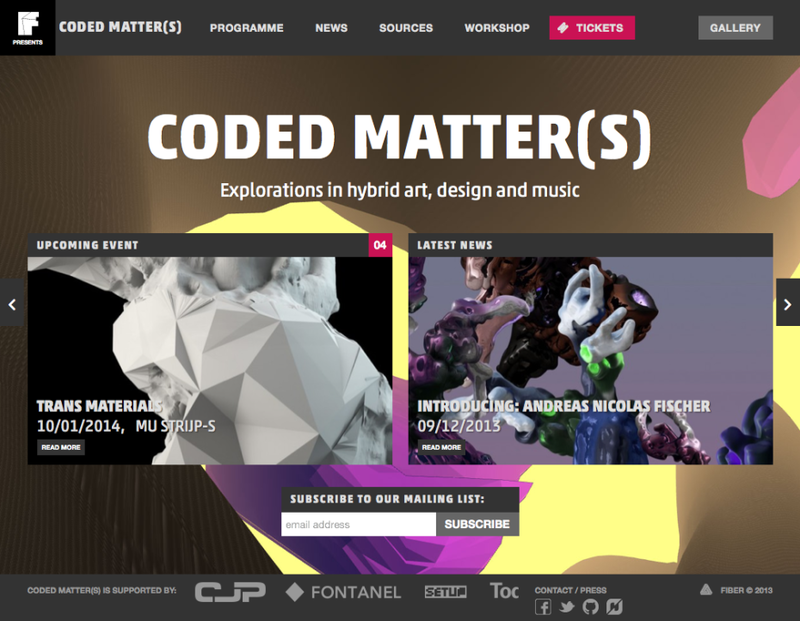 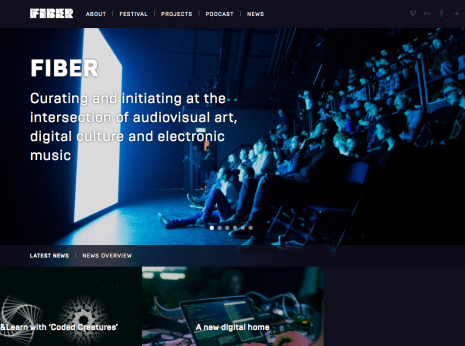 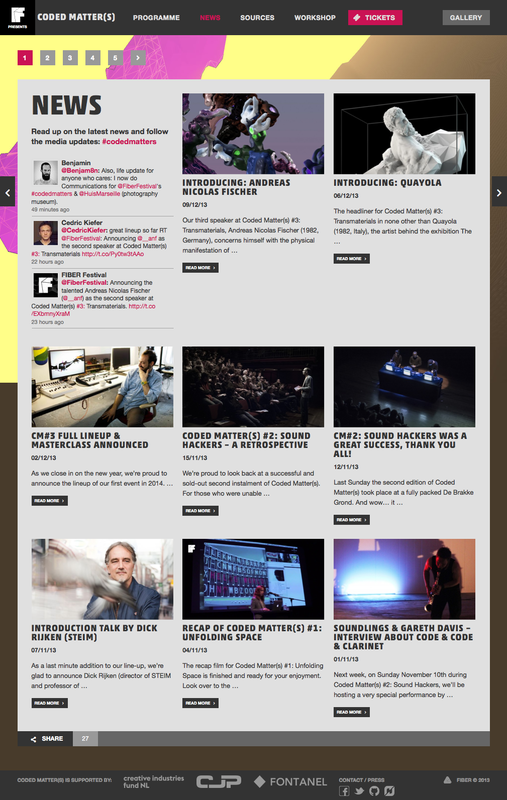 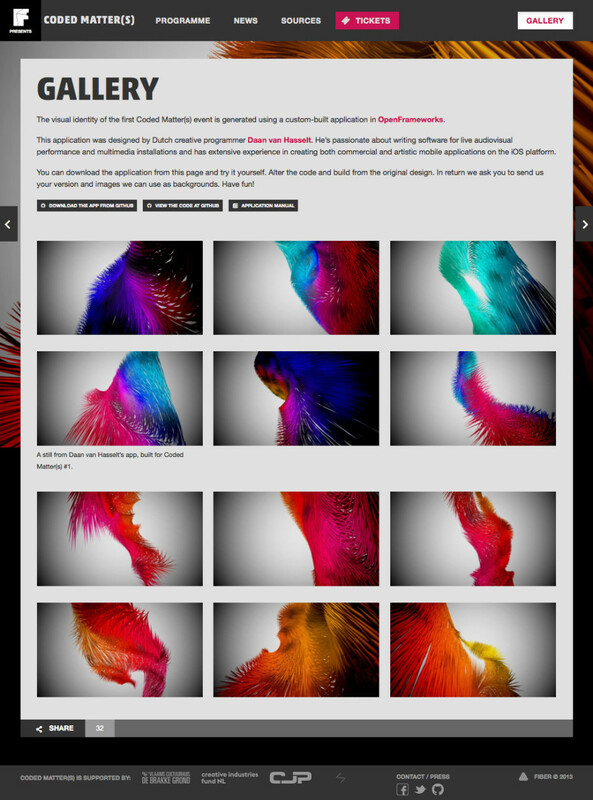 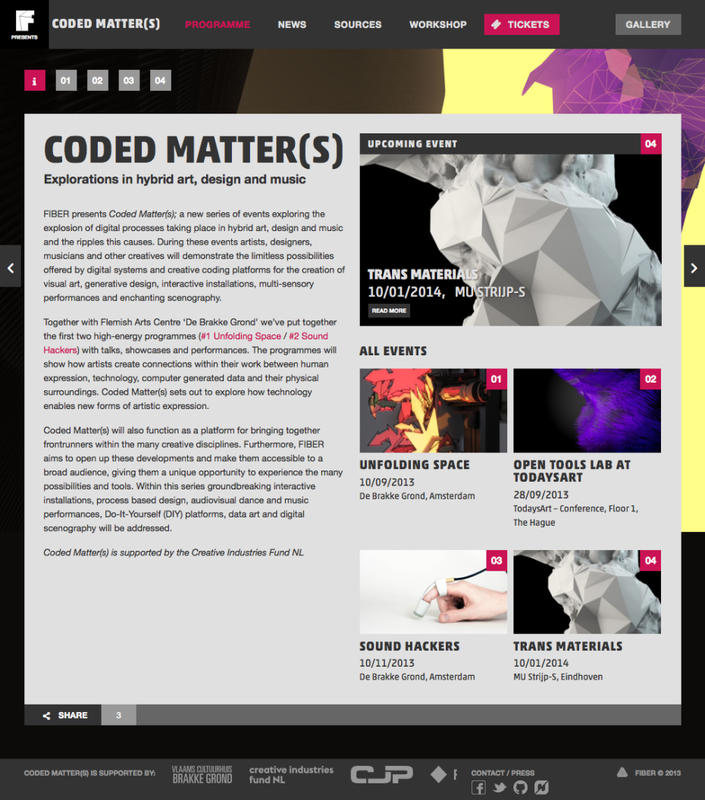 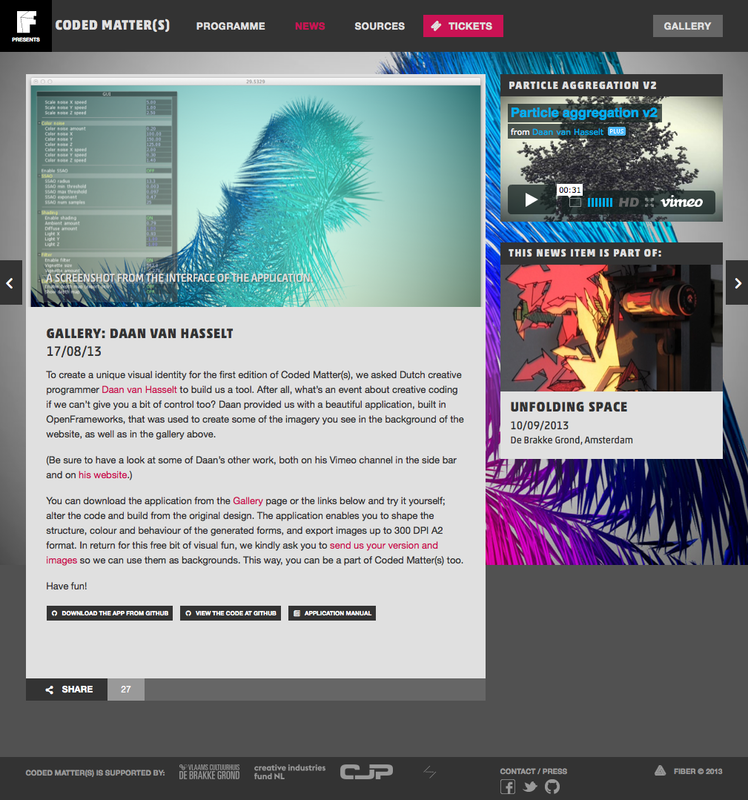 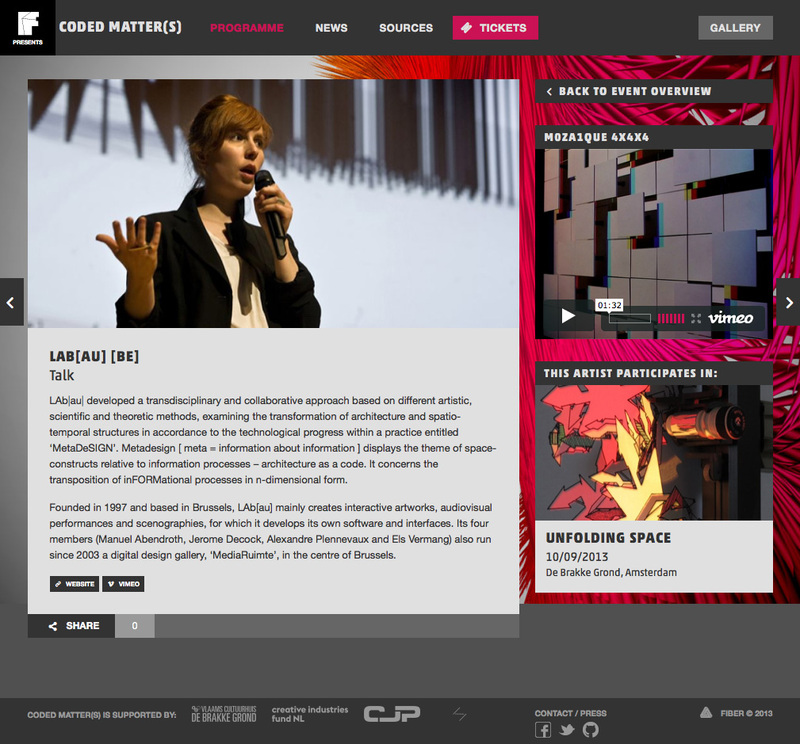 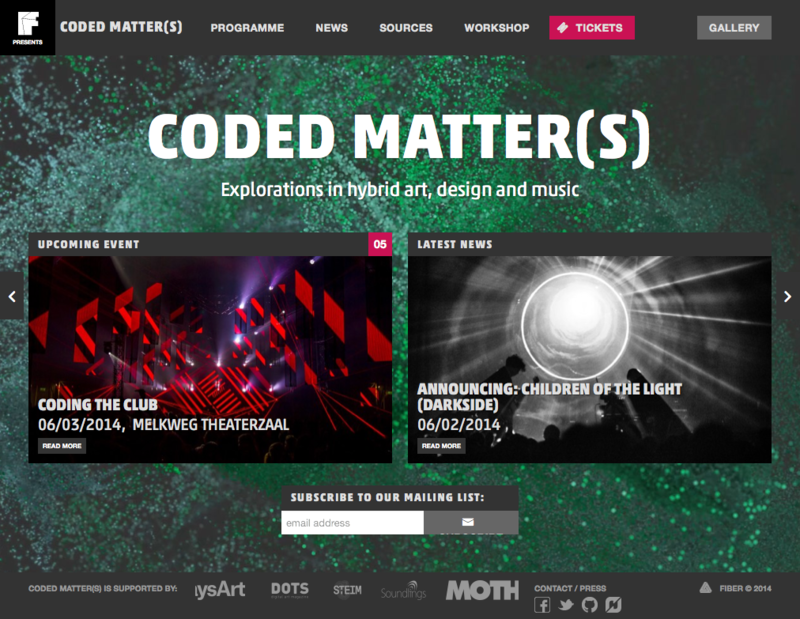 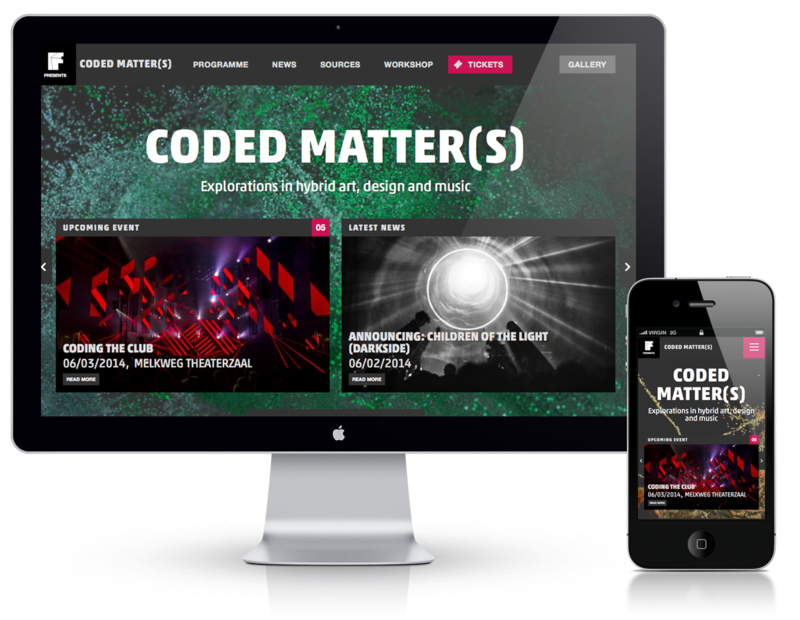 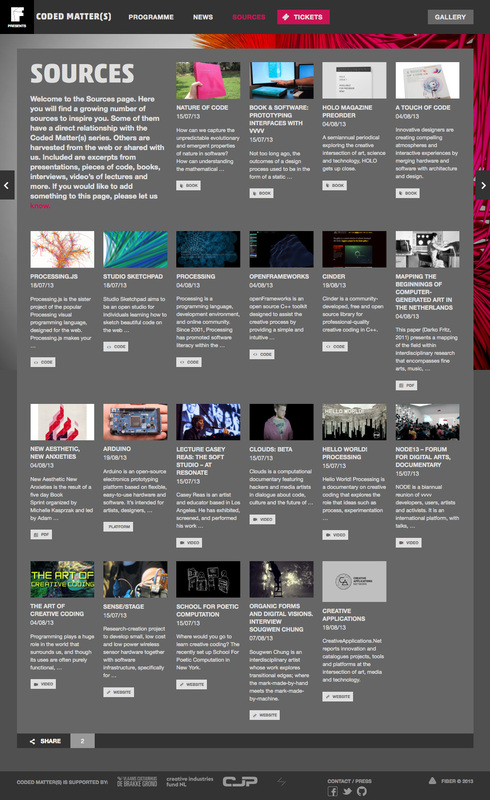 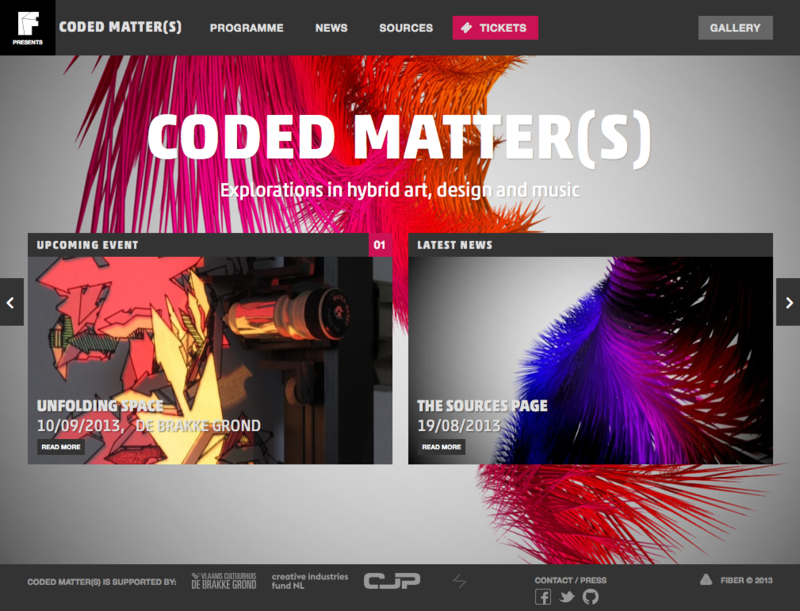 Website execution for Coded Matter(s), a series of events exploring the explosion of digital processes taking place in hybrid art, design and music and the ripples this causes. Commissioned by FIBER in colloboration with Jarl Schulp which was also responsible for the design. 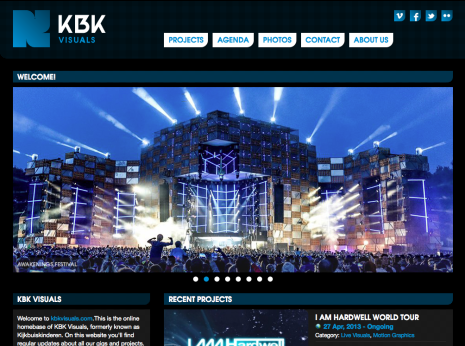 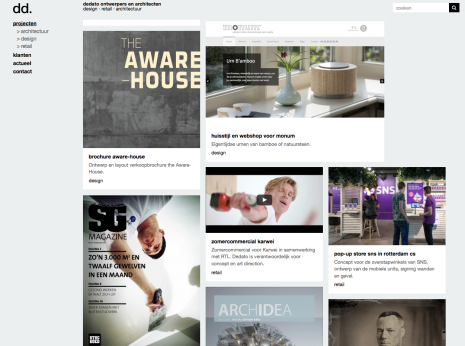 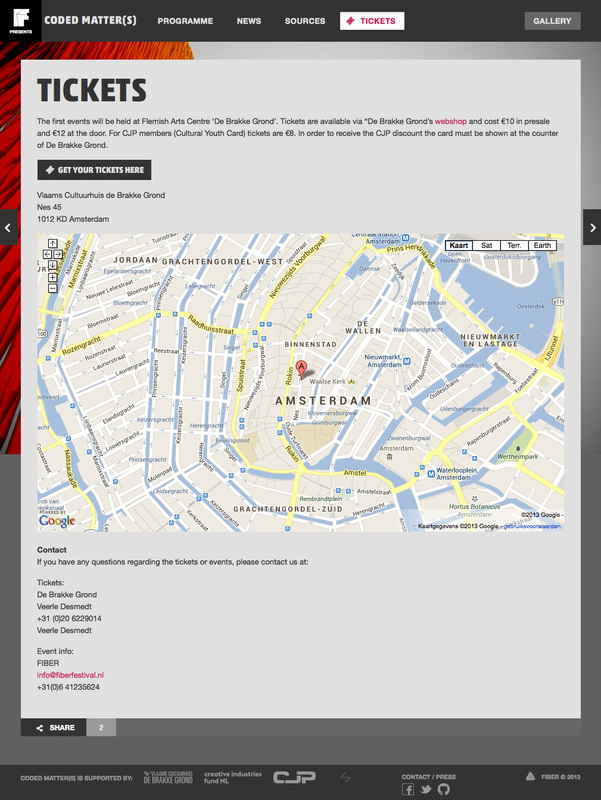 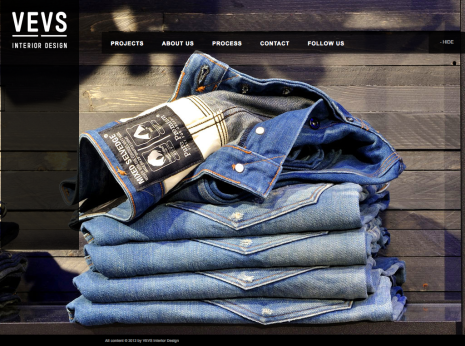 The website is build in WordPress and upon the Roots starter theme with Twitter’s Bootstrap 2 as responsive framework.